I got an email on Dec 4 as saying that submit my passport,221g letter at VAC ,I have submitted all the documents on 5 Dec…I was keenly keeping an eye on status and now came to know that my case got updated as dated 8 Dec to administrative processing in (ceac.state.gov) but I checked in passport tracker it showing as “your passport still with Us embassy/Consulate. Did my case approved or still went to administrative processing? If my case administrative processing then why VO asked passport? Waiting for your reply…Quick reply is really appreciated. Can you please update your visa status? I am in same situation waiting after submitting passport for more than a week already. If admin , my h1b is in 221g via employer B., and they also collected my passport.its been 1 month now. And now my current employer wants to apply for B1 visa . So is it possible to apply ? And i need to revoke passport for the same. My H1 is approved on 01-Feb-2016 and I went for the visa interview on 18-mar-2106 and consular issued 221g (asking the req. fromt he employer side). My employer had submitted all the listed documents on 11-Apr-2016, but till now there is no progress on the petition. We have done many follow-ups but still no result. My H1b is approved till 31-Jan-2017. If the 221g is not cleared within that date. What can we do? I mean my employer can contact USCIS and explain the situation or something else. Please suggest. hi Sudheendra, so at last what happened to your visa, did it get stamped ? what is the situation now? since i am in the same boat. I will be going for the H1B visa interview in a weeks time in London, UK. I have an issue with the experience document I submitted to uscis for the petition , and I don’t want to show that during the visa interview. Can I do that or what’s the best way to handle it, if they ask for the original experience document? Has your U.S. Visa ever been cancelled or revoked? I have this question in DS160 application that I am submitting for H1B visa. During my last H4 stamping, VO cancelled my old H4 and H1B visa. H1B visa was valid during that time but since I did not join the employer it was cancelled. please help me with, what should be my answer now In this DS160 form? I have an approved H1B petition from Employer A, but they don’t have any project to send me to US at the moment. I got my H4 stamped this week. I never traveled to USA on H1B. Can I go to US on H4 visa and find employer there and get transfer done to a new Employer there? Will it be cap exempt? Can it be a COS transfer as it would be my first H1B status. We have applied h1B for me and h4 for my husband as well as for my kid.. I am not sure how soon my employer will provide necessary documents . My husband’s employer is ready to file H1B for him. 1.Will there be any impact for my husband to file h1B though h4 is in 221g ? 2.Do we need to withdrawn h4 221g for my husband before apply h1b ? 3. whats the process and how much time it will take to withdrawn h4 221g ? 5.Is there a chance h1b petition is revoked by USICS ..
6.How soon that needs to be done ..and how much possibility new employer will accpet eventhough 221g for VISA ..? 7.Do I need to withdrawn current 221g before apply through capexempt ..? I got picked H1 lottery in 2015 from Company A. Later, my petition amended and got new petition number in April 2016 on an other project and got 221(g) with asking to submit some more documents, while I went for stamping at Mumbai embassy. Now, I switched to Company B and unable to provide the mentioned documents to embassy to clear my 221(g) as I am not working for Company A. And I am seeing my petition got Approved. But , the visa status showing as ‘Administrative processing’. Could you please suggest me, what should I do to clear the 221(g) and is there any choice to get the 221(g)revoked from embassy itself (without submitting any mentioned documents from our end). Hi Hari, I am going to be in same situation. My visa is in 221g Admin processing and I may have to change employer. What did happen in your case? Please share your experience after you joined another employer. After few months wait the status of my case was changed from Administrative Processing to Refusal. 1. Can i apply again for visa stamping with same employer? 2. Can i switch my job and transfer my H1b to new employer? 3. Will it impact if i go for another US visa stamping like B1,L2 etc? 4. Can my current employer revoke my H1b petition, if yes then still i can transfer my H1b to new employer ? I have to strat from scratch and have to go with fresh H1b? Please suggest if you have any good path for me to follow. Still my status in USCIS is Approved. Really appreciate for your time and help. 1. You can but it may end up with same fate. 4. They can, but you should still be cap-exempt. However, if USCIS revokes the petition by themselves based on consulate’s input then you may not be able to use it for cap-exempt purposes. – I arrived in USA in 2014 with company xyz, switched to employer abc in Sept 2015. – My Visa with xyz expired in Dec 2015. – My new company abc changed location (within same county) in Sept 2016. – My wife is in USA, applied for H1B 2017, waiting for results (got RFE). – I have to visit India and get stamping done. Planning to visit without my wife, do not want her case to mess up. – Can I visit India in December while her case is processing? – Do I need to take her as well? – If I go for stamping alone, is there an increased chance of getting 221g or rejection? – Will my exit and entry impact my wife’s case? – Shall I avoid exit before decisions are out for my wife’s H1B? Recent experience in Chennai US Consulate: FELT LIKE WHY I CAME TO INDIA FOR VACATION! Had H1B visa renewal interview in Chennai. Been in US for few years and came for stamping after that. Visa Officer asked few basic questions and took all my documents and asked me to wait in the lobby. They just do not want to give any answer. I had all employer documents and client letters. Not sure what raised questions with them on my application. I heard that Chennai consulate is giving lot of 221G blue forms nowadays. Don’t know about other consulates in India. I feel very unsafe to come to India for a vacation even after long time in US. How can people not come to home country when they have to come for any emergency situation? We need to wait for 3+ hours for this sake in their office, still they are not convinced and give such slips, which destroys the whole vacation. Please let me know if anyone else had a similar experience and result. Hi PV, i had the same exp yesterday 🙁 VO gave yellow slip and asked to wait.. After a while they called and got my client employer letter and few more docs. Again waited for around 40 mins and then VO issued blue slip with same option checked as yours. He told, i dont need to submit any docs for now and they will email if needed. I have been in US for more than 5 yrs and came for vacation. Same situation happen to me. I also came for vacation i stayed more than 2 years in US. I changed my employer over there just one year before. Initially i applied for visa renewal through Drop box option on Sep 15th. After two weeks we got an update to appear for personal interview by giving 1st 221(G). After that we attended our interview my kid (just for info she born in US) on Sep 29th . Any update on your case ? I am also stuck in India on 221H yellow with below coment saying Admin processing. I am also in the same situation. Had my interview on spet 20th and was given 221g blue slip. Not sure how long this will take. Reached out to them several times and they ask me to wait for 60 days atleast. Saurabh, is there anything I can do at this point of time? What’s the status now. Same situtaion for me too. I attended on Oct 18 . Waiting for their reply. What’s the status now. Same situation for me too. I attended on Oct 18 . Waiting for their reply. Hi Saurabh, I came to India for vacation last month.My H1 Ext approved couple of weeks back and went for stamping today.VO returned my passport along with blue slip. I would like to proceed with H4 visa. Can I Fill DS160 for H4 immediately? is there any issue? Will VO as about admin processing while go for H4 stamping? Also, should I need to provide resignation letter/relieving letter from H1 employer at the time of H4 stamping? Please advise ASAP. I will proceed with H4 option. Thanks a lot in advance! In the past, folks have done that – appear for H-4 stamping while H-1 is pending. It is not required to resign from H-1 employer when appearing for H-4 interview. Obviously, you cannot work until your visa status in US changes to H-1. Thank you saurabh for the prompt response. One more question, in the ds160 for h4 visa , should i mention as currently employed or mention as home maker? I came india on vacation by filling leave application and not getting paid for last 2 months. If you are on long term leave from that employer, then maybe mention as housewife etc. Either option works. I’m going through a similar situation like yours, I appeared for h1b stamping at chennai on 18th oct, VO issued blue slip, my employer submitted the requested docs on 21st, still there’s no response, since its been more than 50 days, I’m planning to apply for h4. I too have same questions like you, do we need to withdraw h1b visa application prior appearing for h4? If not will they once again issue form 221g? Please let me know what you did. Awaiting for your response. I’m in the same situation like yours, did you appear for h4 stamping? Did you withdraw your h1b visa application? did they ask you for resignation letter/relieving letter? I have a pending 221g for my current employer at U.S Consulate. I have a valid visa in passport from my previous employer. Can i travel with my old visa from previous employer? You can enter US using old unexpired valid visa stamp from old employer and new petition from new employer. Make sure you tell PoE officer that you will be using the new petition to enter and work and not the old employer. Hi Saurabh. I am in a similar situation. But would the POE officer not get mad as there is a pending 221g ? Given that the 221g is now for the new employer can you still enter and work with the employer by showing the I-797 at the port of entry? Also they could put you through secondary questioning I heard. Also can one travel when there is a pending 221 or does one have to withdraw the visa application first given that there is a valid visa from the old employer. I had an approved H1B stamped in May 2016 (I797 is valid till January 2017) with Company A.
I went for an H4 interview in Oct 2016, during this interview they asked me the reason why I haven’t yet travelled on H1B, and hence took my old passport which has the stamp and issued me a 221g (yellow form) on H1 asking my travel plan from Employer. Now, the employer A seems least interested in providing me with the requested documents. I have an offer from Employer B which best fits my position. They filed my H1 transfer and I received an approved petition from them in Sept 2016. However I was planning on getting this stamped prior to travel. Please let me know if my 221G process is going on with the US consulate with Passport with them, can I ask them to cancel the H1B visa from Employer A and should I proceed with taking a new appointment for H1B visa stamping with Employer B. Will this be safe. Any help will be highly helpful. – Employer B is Big MNC in India. Yes, ask the consulate to return the passport as you don’t want to travel on H-4 now. They **may** cancel the existing H-1 stamp while doing so. In that case, go for H-1 stamping again. Is there a way I can ask him to cancel the existing H1B (since I am not willing to join the company A) and proceed with the same H4 application for which I had made the apptmt. And if I do this, will he simply cancel the H1B visa as 221G processing is going on. Once sorted out, I can go for H1 stamping later then. You can send a letter to consulate asking them to withdraw your H-1 stamping application. The downside is that they may send the petition back to USCIS for reconsideration and possible revocation. Thanks for your reply. It was really helpful. If my petition is revoked, will it have any impact on future H1 transfer or the one that I already have? I attended visa interview today. VO asked me few questions about employer name,client name,client location, project name and salary. He kept on looking at the system and asked me to submit the entire set of petition. He said he needs to have a closer look at the petition and asked me to wait for sometime. After 30 mins of wait, i was called by the VO and told me that my case is under Administrative processing and issued a pink slip . He didn’t ask for other documents. I wonder why my case went to Administrative processing? There could be several reasons but most common is verification of client project. There is no SLA for resolution processing time. In my LCA i have place of EMployment 1 (Its my Employer premises)and Place of EMployment 2(It seems like Clinet Premises) and i have letter from my Employer Saying i will deployed in client premises and our business premises. If VO asks where you will be working I should say at our employer who filed the petition only right ?? And I should say it as a Inhouse project and later based on the requirement i might move to client side right ?? As Place Of employment Corresponds to my Employer Office. Help me on ?? I am working with a product company based out of US (<500 employees) for last 2 years. I am not too sure as to how to respond to client details, projects etc. as the nature of work is different in a product company . My petition has a letter (filed during H1B extension) stating the role and responsibilities supporting my skillset. Will that be enough as my company has not provided me any other supporting document. If you are not working in a contracting position at client site but in a product development position, then respond that ways. Include the letter employer wrote to USCIS mentioning your job and duties and explain the nature of your job. I am in exactly the same situation. Mine is a new employment with a startup in bay area. I went for an interview at the Chennai consulate last week. I showed them the letter that the employer had sent to USCIS with 5/6 bullet points explaining my job role. But these guys look at all petitions as if they are from service companies and expect some kind of client-vendor model. Not true in our case. Moreover, the startup is a chip company that makes specialized programmable chips. The back office people at the consulate did not understand this and one Indian lady asked me for details. I explained what they do but I guess it didnt help much. The attorney has emailed all the required documents + a letter from the hiring manager requesting them to grant the visa as they need somebody there asap etc etc. Unfortunately, I cant do much now but wait. Any advice/suggestions/feedback from Saurabh or other members is really appreciated. I think your attorney is doing the right thing here. Explain what the company does, include other relevant docs and then hope for the best. I wanted to share my long journey of H1b which got approved in Nov 2015. Petition approved on 25th of Nov 2015, and in mean while my employer was busy with some other work and unable to provide me documents for my visa interview, finally he provided me all the documents which are required for the interview in the end of Janury 2016. V.O : Which Company you are going for ? V.O : How many years of experience you have ? V.O: Who is your client ? Me: i said its in house project. V.O: what is your project ? and can you explain in detail ? V.O: What is your role in the Project ? by the time i finished my interview it was 10.10 AM, and i waited in the lobby untill 1 pm and no one attended me in between its almost closing time for the Consulate, then some one attended me asking for what i’am waiting for then i said him that counselor asked me to wait in the lobby and he will call me back, then he asked me for my ds 160 and took that to a counter and some one at the counter checked it and said something to that attendant, so he came back to me and said its done you can leave for the day, and we will get back to you if any thing is required (they retained my passport). and i got my passport today with stamping. uffffff…………… a very long journey of my H1 so thought of sharing, may be some info will be helfull in any ways. and good lick for the people who are waiting for their H1. Just wanted to share good news from my end, as my H1B visa got approved last week after long wait (1 year 9 months) due to 221g. I have been to interview at HYD consulate on 06-Jan-2015 and was given 221g form with few queries. last month I got mail to submit passport and got visa stamped with in 4 days after submitting my passport. Thats really a great news…. Please let me know whether your petition returned to USCIS after issuing 221 g Or not…. I am in USA and recently my status got changed from F1 to H1, I am planning for H1 Stamping but in India (Home location) waiting time is 4 months. Is it necessary to go to the home country or I can Visit mexico or either Canada. Please suggest me the good option. If you have done Masters in US, then you can go to CA or MX as well for the first time stamping. However, the consulates there still reserve the right to reject your interview and ask you to appear in home country. So when planning to go there, make sure you have backup plans in case things go south. Even I got 221g and my previous visa with different employer was cancelled. How can I get visa stamped, if I change to a big known company. Do I need to schedule and go for visa interview or can I go for drop box. If I need to go to interview, can I go to Kolkata? My native is Tamil Nadu. So your immediately preceding visa resulted in 221g? If yes, then you are not eligible for dropbox. You can go to any consulate in India. Thank you for giving valuable information. I have a query please. My L1A Individual is approved and i797B states Chennai consulate. Since there is no visa stamping date open in Chennai consulate, I am planning to schedule in Kolkata. Will there be any problem in doing so. I am staying in TamilNadu. Kindly advise. First, please don’t address me as Sir. Second, yes you can appear at any consulate for L-1A interview even though you are in TN. I have got visa stamped in my passport. Just wait for 8 – 10 weeks. I saw so many people submitted their passport by 221g and they received it. Hi Sanjay, have you gone ti Mexico? I am in the same boat as you. Based on our earlier discussion (provided below), I need your help to get clarified for few queries. I came to US using my existing visa (which is valid up to Aug 2016) without any problem at POE on Feb 20, 2016. I haven’t withdrawn/respond to the pending 221g application yet. Now I got a new offer from the new employer and they are about to start my H1B transfer process . Please guide me to clarify the following questions. # Since my new employer is going to do my H1B transfer, my question here is that, is it required to withdraw the pending 221g application (which i got for my current employer) before doing the transfer process? (OR) I can withdraw it after the successful H1B transfer process? # If I can do my H1B transfer with new employer without withdrawing the pending 221g application, will it give any problem/impact to the H1B transfer process? # I see there is a question regarding pending visa in the H1b Transfer questionnaires and new Visa application such as “Has candidate ever been denied an H-1B visa before?” What would be the best reply for this type of question. If my 221g is pending, will it be considered as a denial? 1. If they have not canceled the current visa stamp, then you can use it to return to US. 2. Is your passport w/ you or the consulate? If it is w/ consulate and you request to withdraw the application, then they may cancel current visa stamp while returning the passport. 3. I think it is a better idea to return on current visa stamp and withdraw pending application later. Also, discuss w/ your H-1 attorney. I attended my H1B extension visa stamping couple of days back in Chennai consulate and asked to submit the Client letter in the visa interview. My client has policy not to provide Client Letter to the contractors. I explained them and specified that i have vendor and other letters. but got blue slip asking to provide Client letter with employer documents. Not sure why they are asking Client Letter for the petition which is approved for 3 years recently by USCIS. My current visa (thro my previous employer is valid till Aug 2016(another 6 months). But unfortunately attended visa interview for the h1b extension (current employer) by thought of to get stamping for another 3 years (according to my current I797) but ended up with 221g for Client Letter. I am sure my client wont provide Client Letter as per their policy. So this visa application will be pending for long. Could you please provide your reply on my following query. #Shall i travel back to US using my current visa which is valid till Aug 2016? #To make it legal, is there any procedure like withdraw the proposed visa application which got 221g and travel to US using current valid visa since I am still keeping the status? #The reason for asking this question is, if 221g is taking long even i provide the alternate /equivalent documents, i may loose the current job. Instead, i want to check with you about my current visa by invalidating the 221g. Could you please help me in this? 1. There is no specific need to withdraw the 221g. But if you want to, then do it after transfer petition has been approved. At that time you would have no use of old petition as you would have moved to new employer. 3. What questionnaire are you referring to? Is this something new employer sent you? I don’t think USCIS asks about it but employer may be asking for it to know the entire case history. 221g is considered denial (corresponding question in DS-160 form should be answered as Yes in your case). You should respond truthfully and I don’t think it will have an adverse impact. Appreciate your timely response and valuable information. I will get back to you once my H1B transfer is approved. I have attended H1b interview on 26/06/2016.VO asked me few general questions and later he started asking about my employer a said the website of the company is not good and given a 221(g) white form and returned my passport back and asked me to send the following docs. So can you plse tell me what are chances of getting a approval. Chances of approval cannot be determined like this. It all depends upon what your response to this questionnaire is, and how much does it address officer’s concerns about your case. Do you know of other employees who went for stamping through this employer? Thanks Saurabh for your reply. when i contacted my employer and told him about wat happened he said that one of his applicant was issued visa on 23/05/2016. I work for a small startup in the bay area. I had been with the same startup for last 4 yrs. They had sponsored my H1B, for which I had got my Visa stamped in 2013. Theerafter that visa expired in 2015. In 2015, they has sponsored my I-140 and subsequently got my H1B extended till 2018. I am currently travelling to India and had to get visa restamped. I was issued a 221g blue slip (admin processing). The VO said they will reach a decision in the next day and inform me on the next steps. Is that something the VO just says or do they mean that in any way ? My company is small, few employees, I only work onsite and no clients. Being a startup, the company has no revenues but has money to support employees. Anyone has similar experience ? What time frame can it take ? What is the real issue here , why did they not restamp when its the same company who has extended my visa ? It is not possible to know the exact reason, and one can only guess. I think b/c your company is small, the VO couldn’t gather much background about them and hence the admin processing. There is no SLA and it can take several weeks or months in worst case. If you are not working in consulting, then it should be done within few weeks. Once 60 days have elapsed, your attorney can follow-up w/ them in US. Yes I am not working in consulting. I work in a small product startup. The VO took only company documents, project description and the petition from me. Then she checked my W2s and Income tax returns for last 4 yrs and noted down the numbers and I also showed her my original Masters degree from an Ivy League school. My employer also sent some additional documents to the chennai H&L email even when they had not requested anything yet. I or my employer have not heard a peep from them (email, online status or phone call). At what time frame should I or my employer start thinking of any alternatives ? Once 60 days have elapsed, attorney can follow-up here in US w/ DoS. However, the process is not sped-up just b/c attorney has contacted them. How long can your employer support your work from outside US? I didnt have that conversation with my employer yet about how long can they support me. I was wondering what are pros and cons of going for a fresh petition after sometime. (say 3-4 weeks if we dont hear anything back from the consulate by then). Its been a while since your last post, not sure if you are tracking this. How much time did it take for the consulate to come back. What was the final result. I have attended h1b today( April 29) and I was issued 221g – blue slip. At first VO asked me generic questions and I answered promptly. Then he asked about my employer location ( because it’s a in-house project) and I said location B but in my petition it was mentioned as location A and my employer shifted the office 5 months back. As suggested documents, he provided me lease agreement of location B and I provided the same to VO. He checked something in the system and told me that its still showing location A.
VO told me wait in lobby and after half an hour he issued 221g- blue slip and checked administrative verification required. VO took my I797, LCA, I 129 and returned me other documents and my passport. VO also mentioned that no need to come to consulate again and I can mail the necessary documents. Could someone suggest me what will be the next step and how many days/months it will take? Will my visa gets approved ? If LCA was filed for location A, and you will be working at location B, then new LCA and H-1 amendment should have been filed for you. Did you not do that? This is the first time I’m doing this. So I don’t know much information about this. My employer just provided the lease docs and told me to produce when VO asks why the location has been changed. There is no communication from consulate till now. Just came to know that my new location fall under same MSA. So new LCA is not required. Any suggestions on further proceedings? In that case no LCA and H-1 amendment is required. Just mail him the requested documents and wait for them to complete the process, which can take few weeks or few months. I received refusal worksheet from consulate general. I have few questions at this point of time. 1. What is the further process? 2. My current employer is raising a new h1b petition for FY2017, will the refusal of my previous visa have any impact on this? It’s not yet resolved. I’m also waiting for an update. The thing is they didn’t ask me to submit anything. Hope we will get our visa soon. Did u get your Visa or still pending??? 145 days and still counting.. I received refusal worksheet today. I have few doubts related to this. 1. What will be the further process? 2. My current employer is nominating me for new h1b for FY17. Will the above refusal have any impact on this? I appeared for visa interview on 8th March “Delhi , VO asked me to sit and after one hour one another internal officer came and asked me questions , as my LCA says the address where I am working but I was hired by company A which supplies workforce for company B who have the name on the address if we Google. I have letter from company A which I submitted to embassy on day of interview. They returned my passport and didn’t give me any letter for processing but put me into processing and said it will take at least 15 days. On 22 March , my employer was reached by state visa officer in US and asked all details and a copy of LCA for location of company B. She was convinced my employer said and said she will put report to this case asap. It’s been two weeks please let me know what would be the ideal time to wait till or is there anything we can do from our end. Is it a positive sign or negative? It is not possible to say whether the outcome will be positive or negative. It all depends upon officer’s report and discretion. Can you please let us know the status? I got a 221 g white slip after my interview in Dec 2015. I have submitted all the required documents within one week and now it has been pending since then. I wanted to know if this is advisable? Will it lead to visa denial? If this advisable what should be the appropriate mail format for the withdrawal? 1. Consulate will stop the processing and do nothing thereafter. 2. Consulate will stop the processing and send the petition back to USCIS for reconsideration and possible revocation. You should talk to your employer/attorney to gauge the possibility of both and how to handle situation (2). Why don’t the employer get the amendment filed and approved first and then you can reappear for stamping. Did the employer discuss w/ his attorney the scenario of not withdrawing the application and going for fresh stamping based on amendment? can i stop the case which is created? it has been created 3 hrs back. I would suggest talking to your attorney first. If they say to let it proceed, then do nothing and start working on the amendment petition. If they say to stop it, then send another email saying that the old email was sent in error and you want your case to proceed. However, I think that would do more damage to your case than doing nothing at this point. My case was under 221g. Is there any chance where i can save my petition? One option is to find another employer and ask them file cap-exempt petition for you. The appear for stamping through the new petition. As for current petition, it is up to USCIS officer to reinstate the petition or revoke it. I was attended interview on 31/Mar/2016 at hyderabad. After interview VO gave me 221g white slip. none of the documents column checked, just checked additional administrative processing is required. Same day i got a call from consulates and asked how did i know about petitioner company ? Also whether i works in client location or petitioner location. I said , i will be working at client location. Later he said, email them “letter to usics and work location” , also he said it takes some time . I asked petitioner to provide those details/documents. Meanwhile, i want to apply through h1b through my current employer as cap exempt petition, is this possible ? What’s the work location mentioned in your LCA? If it is employer location, then this would probably end in denial, as you mentioned to the consulate that work location is client site. While this case is pending, you can go with cap exempt route with another employer. I am in the same boat, while in H1B visa interview I got a 221g from mumbai consulate after almost 8 months I have received the below mail from support “Based on the interviews and documents submitted at U.S. Consulate General Mumbai, we have returned your petition to U.S. Citizenship and Immigration Services (USCIS) for review and possible revocation. If a consular officer receives information during the interview process that was not available to the adjudicating immigration officer at the time of petition approval and that shows the beneficiary of a petition is not entitled to the accorded status, then the petition must be returned to USCIS for re-examination. Due to this requirement, consular officers returned your petition and additional supporting documents to the Kentucky Consular Center. Can you please tell me how long average is it taking to get a responses for 221g cases. And whats the success rate for such cases. You help is much appreciated. I have attended H1 visa interview on march 7th and VO asked few questions like What is the your project etc and then he had not returned passport and said it will take 4-5 days for processing.I thought its approval.Just wanted to re confirm ,I asked when can i get my passport and he repeated the same that it will take 4-5 days for processing.Later when I have checked the status ,it shows ”Refused” and passport tracker shows “Passport is still with US Embassy”.They have not given any 221(g) related document.Now on march 11th I got call from embassy to re-appear for second round interview.Can any body suggest ,what could be the reason for second round of interview. It is not necessary to give a formal 221g slip while putting the case in administrative processing. They could be doing variety of things in the background like PIMS etc. If they kept the passport, its a positive sign. e) Which city you are going to work? f) Where is the head office located? g) What is the project you are going to work? h) Why small company doing this project? He said i am not fully satisfied and he has given 221(g) and crossed on the check box for ‘Other” option(there are check boxes against each document type like I797B etc..) and had written “Administrative Processing” against it. He said that they will send an email for sending passport through VAC centrer. Can u please let me know what would be the scenario and how long will it take? Unfortunately there is no set timeline. It can take few weeks to several months. They would conduct their own research and based upon their findings will either approve or deny the visa stamp. I attended H1B interview on 12-Feb-2016 @ Chennai consulate along with my dependents H4( wife and kid) Unfortunately i got 221g blue slip marking ” Additional administrative processing required before making final decision” and VO mentioned he mostly would not need any other documents and retained our passports. During interview VO checked my previous travel records. Actually i stayed 5 months in B1/B2 visa in the year 2012 during business visit with my previous employer. After that i never traveled to US. Think this might be the reason for my 221g. What kind of administrative processing is done in such a cases ? After that i didn’t receive any notification for the additional documents. The status is shown as administrative processing in the site. However for my wife and kid there is some update. I am worried about why this status got changed from 26 jan that no information available ? Is this normal ? Does anyone in AP had this experience. By looking into my details is there anything positive that i can infer ? Hi, how long did it take in your case fir resolution?. Kindly pist as it will be useful to similar cases like mine. Hi, how long did it take in your case for resolution?. Kindly post as it will be useful to similar cases like mine. I am finally going for H1B stamping in another 2 weeks. There is a concern now with passport having a few ink stains which happened due to rain. Ink stains are not much noticeable & it is towards the bottom corner of first page where name & other details are there. Bare code and other details are much visible though. I heard from a few ppl that this could be an issue during visa interview . Does this stains really affect stamping ? If the officer has concerns about the passport, he may issue 221g and ask for passport renewal as a pre-req to visa issuance. It is not possible to say whether your passport will be acceptable or not as it is VO’s discretion. If they are able to machine read it clearly, then I think it should be acceptable. Still may be a good idea to get it fixed in the long run. I need some info. I got H1B Petition and Stamping approved through Company A, but never traveled to US, as I had better opportunity in some other place (Singapore). Both petition and Visa Expires in Aug 2016, Now I got a job in Company B in US, they applied for Petition Cap Exempt. Attorney has told me to not to go for Stamping if I decide to travel before Aug2016 and just told me to carry new approved I797. Is that fine ? Please share any experience on this regard. Yes, old visa stamp can be used with new petition as long as the visa stamp has not been physically canceled in the passport. I am on H1B & recently came to India along with my family. I have a Valid H1B Visa upto August 2017 from my previous employer and a I797 valid upto 31-July-2016 from my current employer. Since I had recently changed jobs while in the US, my current employer asked me to go for Visa Stamping while in Mumbai. I availed the Dropbox facility and got a 221g where I was asked to appear for an Interview. In the interview, the VO asked me to provide them a Client letter on Client Letterhead stating that there is work available for me, if I travel back to the US. My current client does not have a policy of providing a client letter. Also, I have my travel scheduled back for 1-Mar-2016. In this regards, I have the below questions and would really appreciate if you could help me out. Thanks in advance. 1) Can I travel to the US on previous Employer’s Valid H1B visa even if I have a current 221g(not resolved) for my current employer? 2) Could there be any issues at the Port of Entry due to the above? 3) Can the concerned authorities at the Port Of Entry in US, ask about the existing 221g, if I travel on Old H1B visa along with new I797? 1. If the previous visa stamp has not been canceled in the passport, then it can be used for travel. However, check w/ your attorney also. 2. No issues if the visa is still valid. 3. I don’t think they would. Haven’t heard of any such cases. Hi Mahipal. I have the same dilemma as you. Did you travel finally with 221g pending? We’re there any issues? Would truly appreciate your help. Meanwhile my company had filed H1 cap extension in premium as my visa extendion valid uptp 12 dec 2015 was expired. And now my cap extension is approved. Please guide, Do I need to wait for 221G to approved ? Is 221G is seperate process than visa approval ? 221g needs to be processed before visa stamp is issued. However, your old petition referenced in that visa stamp has already expired. So contact the consulate and ask them that you need to submit new petition information against the pending 221g. thank you Saurabh, I have sent new petition, new client letter and new signed sow. I hope it ll get cleared soon. I was asked whether I have my employers tax return, which I couldn’t give. Kept me on waiting for 5 hours and issued a 221g blue slip with no documents checked. Returned my passport too. Is that a rejection, since PP returned? My interview date was on Jan 28 and while tracked the 221g status, the date created is Jan 25 and updated on Jan 28. How can they create the case even before my interview? How could my employer know which documents they need OR what needs to be done, when they have just checked ‘Administrative Processing’ checkbox alone in the 221g? Please give some clue. See my response to the same question you posted elsewhere. I have come for extension stamping at chennai consulate. I had a DUI first offence on 1 Jan 2015. The VO officer gave me 221g slip asked my to submit the court documents and under go a physical test. I have completed all the tests and the report and court documents are submitted on 19th Jan. The DUI case is complete and i have paid all the dues. Now am worried as to how long this process will take. I attended for visa stamping in hyderabad on 21jan2016. In India I am working in MNC. But I got offer from US company for client project. In interview they asked me the master service agreement between my employer and my company. I have shown my client letter…They told me to wait for an hour. After that they issued 221g white paper and said ” we are holding your passport and you can check the status in online”. Now I am in critical situation. I am worrying a lot. There is nothing you can do except to wait for them to complete the processing. Good news is that they kept your passport which is a positive sign. How long I need to wait..Is it gonna be an issue or it will be smooth? Is there any SLA (Means time period )for resolving the 221g issue. When will I get any mail from USCIS regarding status or required documents. I don’t have any idea. I discussed with my employer they said they are gonna respond after getting mail from USCIS. Please help me in this case as I gave resignation to my current company in India and serving notice period. Is there any cases who got positive response after 221g white paper. What will be the percentage in earlier cases. There is no SLA. The consulate will do their processing and may contact the client and do verification for the same. If they need anything from employer, then will contact them as well. As for chances of approval, that vary from case to case. If your documents are genuine and client is ready to support, then it should get approved. I attended H1b visa stamping on october 2015, still it was admin processing. my spouse have h1b visa .can i attend H4 visa stamping now?is there any troubles for me. please suggest to me. You can appear for H-4 visa stamping even when H-1 is pending. 2 things may happen when you appear for H-4 visa stamping – officer may just ignore your pending H-1 stamping application, officer may ask you what to do. Safe answer would be to withdraw the H-1 stamping application. Your H-1 attorney can guide you with a better response. I have attended visa interview(6jan2016) in Delhi and they kept my passport, i797, employer related documents, LCA, tax paid docs, project description etc. They ask me to leave for the day and they will let me know. They said they will verify the docs and let me know. I dont know what it mean. Keeping the passport is a good sign. Check the status of your application again on Monday and see what it says. May be it is in administrative processing (221g). They didn’t give me any 221G slip. Will they ask me to resubmit the docs and attend the interview again? Or anything else. At times, no 221g form is issued, but the application still goes into administrative processing. If the status remains the same next week, then it is under administrative processing. VO: Good morning. How you doing? VO: What company are you going to work for? VO: Ohh. Who is the client company? VO: What does your job duties involve? Me: Developing therapeutics for cancer using principles of Biology. Also includes data analysis, report making and presenting reports to higher management. VO: (with a exclamatory face) Do you work with any cells and drugs? Me: Yes, as a part of my job I do work from time to time. But my major work involves analysis and reporting of data and results. I soon understood where this was leading as I had a previous idea about 221g within my field. VO: Sir, your application needs further administrative processing, please take this form (221g White slip with just ticked box saying further details will follow in email) and you should get an email this afternoon explaining further process. Me: May I know why is this being issued? VO: I cannot explain it to you, but you will find all details in the email today. I know that nature of my work in pharmaceutical field raises red flag at consulate for what I personally think stupid reasons (one can do more harm with knowledge of computers rather than of Biology). Is anyone in similar boat and can you give me a time estimate for processing? Looks like TAL (Technology Alert List) based upon your job description. Such 221gs are resolved in 3-4 weeks (but that’s just a tentative number). I have submitted the requested documents to US Consulate Hyderabad through the email ID mentioned. I have received a receipt email back, but haven’t seen any update in visa status online, it says that last updated 29th December 2015. Is this a general practice or does it mean that consulate haven’t received my documents. Yes, I have seen similar instances. Their online updates are not always up to date. As long as you have receipt email confirmation, you can continue to wait. You can again follow-up in few weeks. My case Status updated date has changed from 29th December 2015 to 29th January 2016. But I haven’t heard anything back in form of email or other. Should I take it as a good sign or a neutral one. Did you see cases like these previously. Can we predict any final timeline based of it? My current project is ending in March and I have to be back to find a new one. I am sitting hear with a ticking time bomb frustrated. It means they are working on the case, but haven’t made a decision yet. Take it as a neutral sign and just hope for the best. I know a friend who got 221g in Dec in Kolkatta. Her approval came through in mid-Jan – processing time of 4-5 weeks. This is in reference to your visa application. Please submit your passport at the VAC or VFS office at the earliest for further processing of your case. As your application has been refused under section 221(g) of the Immigration and Nationality Act (INA) and you are requested to submit your passport, please log in to UStraveldocs, download the 221(g) courier submission letter and submit it along with the 221(g) refusal sheet and a copy of this email at any one of the 5 VAC or 6 VFS offices. 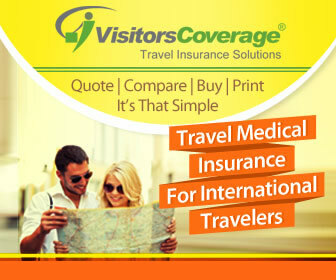 To locate the 5 VAC and 6 VFS offices closest to you, please check UStraveldocs. There will be no fee charged for this service. This is good news. They ask for passport when they are ready to issue visa. Download the form as mentioned, and submit it along w/ passport. My husband and I went to the New Delhi Consulate for our H1b(separate and different employers) together in the last week of Dec15. The VO didnt not ask many questions and shortly told us that BOTH our visas were APPROVED and kept our passports with the I797. She did mention that because of the holiday season there might be a delay and told us that it should be ready by the first week of Jan16. This week, while tracking the passports we found out that one of our passports was ready but the other was still with the consulate. We called up the helpline and found out that my case has now gone under Administrative Processing. – I was told that my visa was approved. – They have not asked me for any additional documents yet. – I have a return flight to the USA on 12th Jan, 1AM Indian Standard Time. I am a Researcher in the biotechnology field in a small startup and wondering if that is the reason. I am a direct hire and have been working for them for the past couple years. Does anyone have any idea or any past experiences that can help us find what the timelines could be? I want to give my employer in the US some timelines so they can plan accordingly. Is there any way to confirm that I dont need to send any documents? Could this be related to the PIMS check? This looks like TAL (Technology Alert List). A friend who also works for BioTech company in Bay Area received similar 221g when appearing at Kolkatta consulate in December. She is still waiting for her visa. In the cases that I remember, they asked for resume, countries visited in last 5 years, and job description to ascertain whether you will be a threat to IP. Unfortunately, there is not much you can do except to wait. You can call them to ask if any documents are required, but they are not very helpful with their responses. Your attorney can follow-up w/ DHS in US once 60 days have elapsed. My wife received similar 221g few years ago in Delhi (she is also in biotech), it took 3 weeks to get approved visa. We had to return separately and she had to call the airline to postpone her ticket every other week. As discussed about my wife’s case earlier, i am curious why there is no status change since Dec 16th, she went for H1B stamping on Dec 16th and VO gave her 221g White slip with no documents required, VO returned the passport but kept client letter, paystub and offer letter from employer, as we just checked the status today on Dec 29th the status is still “Refused” shouldnt it be “Admin processing”? Please advice, this status worries me a little, is “refused” status initial status that changes to AP? Try calling the consulate and asking them about the status. Let’s see what they have to say. At times, the online status is not very accurate (fat fingers). There was client verification 2 weeks back which was taken care by my wife’s employer/client, is it a positive sign ? And how long should it take after client verification ?? Btw status is still refused !! As there is no SLA, it can still take few weeks for them to update the status. Give it another 2 weeks and then follow-up. Administrative Processing since August 12, 2015- No Slip issued. I attended visa interview in Delhi on August 12, 2015. Officer said my visa is approved (after long interview, more than 30 minutes) and I will get confirmation on email/sms. When I checked status at CEAS, it says “Administrative Processing” Last updated date in August 12, 2015. I have written many emails to ‘[email protected]’ enquiring status, the only response I receive is ” Pls wait”. I am not sure if I should continue waiting or consider is as rejected. It has been 3 months with same status and same revert. Nothing you can do here except to wait. Do you have a common muslim name. Is so, it may be in background security check. @ Saurav- Yes I have Mohammed in my name, It could be one of the reasons of delay in processing. However I’ve read on different forums, people not having common Muslim names are also in the same boat. Thanks for your revert. Yes, I have no other options but to wait. They must have a TAT/ATA for such cases. It is really frustrating waiting with no clue when this annoying wait will end. Do they have your passport or it is with you? @Pushkar- My passport is with me, I have temporarily withdrawn my passport for an urgent travel in September 2015. Since October first week, I have been requesting them that I want to resubmit my passport, the response I am getting is ” Your case is under admin proc, once it is clear and if your visa is approved then we’ll write you to submit your passport”. Attended visa interview on 30 Oct. Everything went fine but vo issued white slip saying additional administrative processing req. They took our passports and client letter. They didn’t req any more documents. Normally how many days aap takes to clear. There is no set processing time. Can anywhere from few weeks to several months. What are the documents asked in the white slip? VO are not checked any required documents check boxes,but checked only ‘your application requires additional administration processing before a final decision can be made’ check box. and vo told to me please check the status after 15 days. Then nothing you can do except to wait. You can then call/email them and follow-up after 15 days. can i hope any positive response from consulate. I would wait for some more time. They didn’t ask for any additional documents, so it may be as trivial as PIMS update (but one can’t be sure about it). Did they keep your passport? They are return back my passport and all my documents but they are not returned my petitioner reference cover letter. ok. There is nothing else you can do, but wait. What is the current status of your application in ceac page when tracked using the case id mentioned on top of the 221g slip? My husband had H1B Visa/petition in 2006 from employer A. He travelled to USA from Nov 2006 to Oct 2008. In 2010 he joined employer B. Employer B filed new H1B under cap for 2013 and He had petition in 2013 which expired on Sept 2014. But He did not travel on this petition. So can he use his old petition(2006-2008) which was valid till 2010 to file H1B under cap exempt?? @ Eswar – I think the 221 g slip was issued because the VO was not convinced about the data of your client in her database. They may ask you to submit additional support documents from your client. By the way, can you tell me what exactly was mentioned in the slip and what color was it? Also, may I know your current status? Hi Kamlaesh, Thank you very much for your reply. My Client got email from Kentucky consulate regarding enquiry about my employment and asking some questions. I don’t know what questions are asking.Actually, I got call from US Consulate, Hyderabad and they informed about this.Now, My employer is follow up the client and they are in a process of respond back to consulate. My petition was approved in 2013 and I couldn’t go for stamping due to some problems. Now, I am interested to go US but I don’t have latest offer letter from employer. I went interview with old offer letter. I had h1b visa interview at Chennai yesterday(2-2-2015).In my interview near my window lot of noise and sounds are disturbing me . two questions were not understand properly due to noise and I asked the VO “Sorry please repeat”. VO: what XXXX do ? Vo: how much income u r going to get? Vo: how long have been working with client? Meagain, i didnt here this question properly, I asked her again and i gave answer as no, I am going to work with that new client. currently i am working in india for AAAA company. VO; How do u know this job? Vo: She asked LCA, 129 and client letter. she went to inside and back after 3 mints and asked me to Wait for few minutes. After 20 minutes I got call from different window. now, here Indian lady asked me all questions again. she noted down in a paper. and in between she asked me like” why you couldn’t understand VO questions”. I told her about the noise. ok, then she took all other docs those sent by my employer and gave me 221 g slip checked with “This petition need administrative process” option. what does it mean? due to unable to give proper answers, was VO given 221 g slip or due to old offer letter? I asked the same question to the indian lady, but she said that “I don’t know”. can some one tell me what is this administration process? and how long it will take?